HB&S Solutions Extreme Saffron Matrix Review - Does It Work? 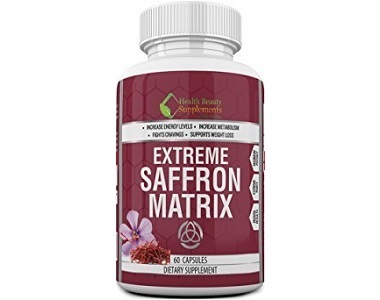 In this review, we examine Extreme Saffron Matrix. The product, which is a dietary supplement, was formulated to help you lose weight by fighting hunger and it will increase your energy and metabolism. The manufacturer has stated that the product will help you to prevent late-night snacking. The product is a NON-GMO dietary supplement. What’s in HB & S Solutions Extreme Saffron Matrix? The main ingredient is the Saffron Extract. The herb will assist in weight loss and also aid in boosting your moods if you are suffering from depression. Saffron Extract is made up of Crocus Sativus, L-Stigma Powder and extract. 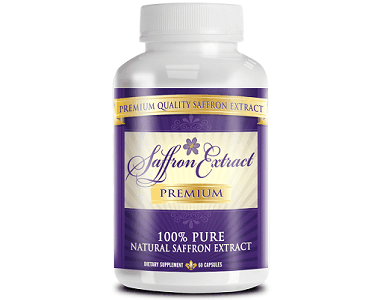 The inactive ingredients that accompany the Saffron Extract are Cellulose and Rice Flour. How Do You Use HB & S Solutions Extreme Saffron Matrix? At all times, make sure you visit your health practitioner to determine if this product suits you and the directed use. The manufacturer has recommended that you take 1 capsule twice a day. The doses should be taken 30 minutes prior to a meal in order to get the best results. Pregnant women and people who have medical conditions are urged to visit a health practitioner before consuming the product. The recommended dosage should not be exceeded. You may purchase the product from the manufacturer’s website for $17.99. You will receive 60 dietary capsules, which were originally priced at $29.99. It makes us wonder why a decrease in the price. If the product was selling at the original price, why offer a discount? Could it be that consumers do not feel that the product is worth that much? Shipping costs are not included in the price of the product. The manufacturer has made a money back guarantee available with the product, however, there is nothing being said about possible questions that may be asked when returning the product. On what basis do you qualify for a money back guarantee as there is also no mention of a satisfaction guarantee. Along with the vague money back guarantee promised, shipping charges for returning the product have not been mentioned. It will cost you to ship the product back to the supplier or the supplier will deduct if off your refund. 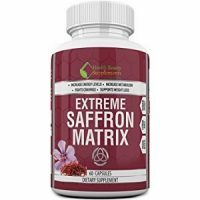 HB & S Solutions have formulated Extreme Saffron Matrix with the intent to help you lose weight by fighting your cravings and it is supposed to help you increase your energy levels. The product is available from the manufacturer’s website for purchase. We noticed that there was a decrease in price, which made us wonder why the manufacturer offered it below retail. Is it possible that consumers feel the product is not worth the market price and are demanding a discount in order to try the product? The product comes with a money back guarantee, however, the terms and conditions of the refund have not been stipulated. The manufacturer has not mentioned if he will ask questions before the refund and who exactly qualifies to get their money back.